I said I would get around to it and I did. 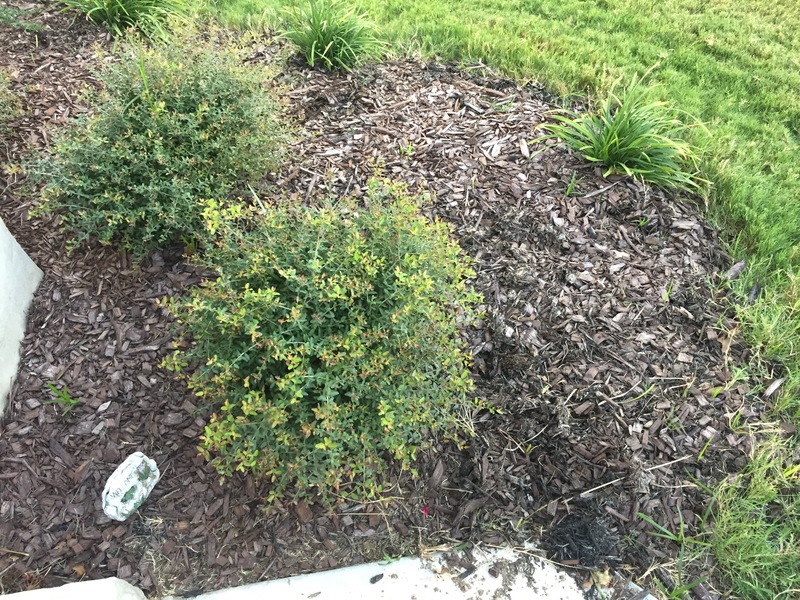 Took advantage of a cool evening recently and pulled all the weeds — well most of them — from the flower bed in front of our house. Don’t believe me? See for yourself. The photo below is what the bed looked like before. The one above is after. Looks a lot nicer right? Can’t believe the housing association didn’t send us a nasty letter telling us we were bringing down the neighborhood. They were pretty bad. Of course, after I took the top photo tonight, I could see a few stragglers. It never ends, does it? 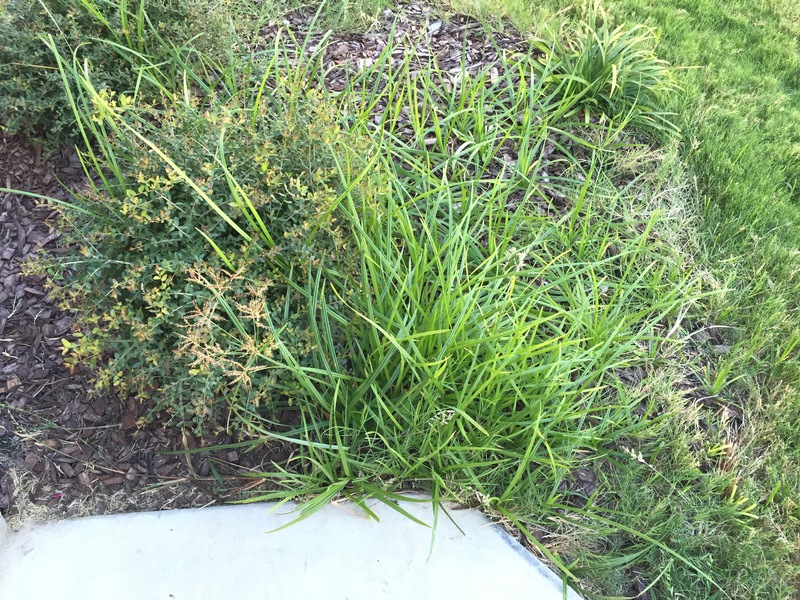 This entry was posted in Gardening and tagged weeds on September 29, 2015 by Julie Riebe. Yes you have-and I totally understand!